The use of pesticides on cereal fields could be having a greater impact than previously thought and that this impact may increase in the face of climate change. The study, by the Game & Wildlife Conservation Trust (GWCT) with support from Natural England, used over 40 years of data collected on farmland on the Sussex Downs. It considers the effect on arable insects and spiders of factors including changes in extreme weather events and pesticide use. This is one of the first studies to investigate the impact such factors have on farmland invertebrates in the UK and it is hoped that the findings will encourage the creation of new measures to mitigate the loss of these organisms. 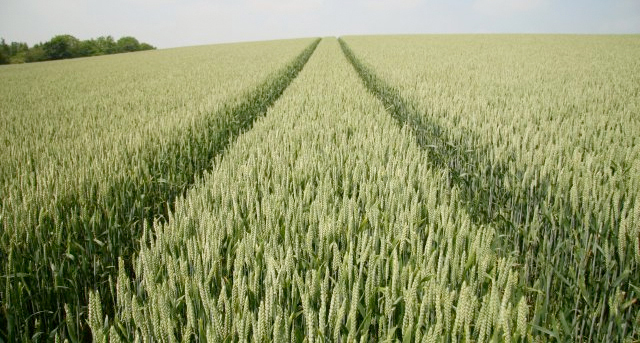 The study utilises the data collected across 100 cereal fields every year from 1970 to 2011. The full suite of data collected in Sussex includes crop management, invertebrates, plants and bird numbers, allowing a comprehensive study of the changes across more than 40 years. Of the 26 most commonly identified invertebrate groups, 11 were found to be sensitive to extreme weather events such as hot-dry summers or cold-wet winters, although only two (gall midges Cecidomyiidae and fungus gnats Mycetophilidae) took longer than a year to recover. Longer-term trends in invertebrate abundance correlated with temperature and rainfall data obtained from the UK Met Office, consistent with an impact of climate change. Results suggest that increasing pesticide use has had more of a direct effect on abundance of some invertebrates than temperature change, with the main driver of change in an agricultural environment being human behaviour. Climate change will, in the long term, cause changes in certain groups of organisms, some of which are cereal pests whose abundance may increase. Any subsequent increase in the use of insecticides will negatively affect the abundance of all invertebrate groups, many of which are beneficial. This could be mitigated through a shift in emphasis from pesticides as a means of controlling invertebrate pests to the use of conservation headlands alongside beetle banks, which also protect farmland birds, as part of an agri-environment scheme that enhances Integrated Pest Management (IPM).